Without doubt one of the busiest and best restaurants in Glasgow. 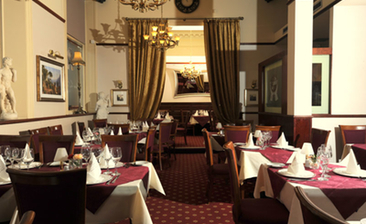 Located in a former bank, with high ceilings and white linen table cloths this is a great venue for lunch or dinner. Superb food & service are always up to the mark. Tony, Andrea and their staff look after diners in a warm and efficient manner. The 5pm lunch menu with a small glass of house wine offers a good choice and is great value at £12.50. The celebration menu for 2 is very good value. Highly recommended.